Just like as a child, no matter how much a parent told you that you were too emotional, the emotions never went away. Instead, you blocked them, hid them or developed “unhealthy” patterns such as over/under eating, hypersexuality, drug/alcohol use, over-spending, unhealthy partnerships, and I am sure there are many more I could name. 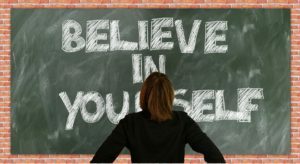 As you developed your spiritual practice, found your own way, and built a business, you worked through many of the unhealthy patterns and also received guidance and support from coaches and mentors. Many of those coaches and mentors probably didn’t “get” you. This stirred up the childhood patterns in a whole new way, now creating income upper limits and difficulty with connecting to ideal clients. In my lifelong journey, I have received THOUSANDS OF HOURS of mentorship. My business coaches told me “you’re too soft,” “you’re too gentle,” “you need to send reach-outs every day,” “offer free calls to close the sale” (beyond the sales calls). Some implied that you need to be super-firm and give as little as possible while appearing to give a lot (super-confusing, right?) Then coaching you to drop F-bombs and call people out on their sh*t.
Guess what … it didn’t work for me. Not at all. I couldn’t figure out WHY and deep-down I knew something was wrong. Yes, I made money. But at what cost? I had many personal issues come up because the energy was so far from what my Heart & Soul desired. I wanted to close my business. Here’s what I’ve discovered as a result of dedicating my life to KNOWING who I am, how I operate, and the best energy I can align to in order to have a happy life and resulting aligned business that feels good to run. With every single mentor or coach I’ve worked with, my deep-thinking brain has secretly kept a little file record of everything I loved about a coach and everything that did not work for me. For example, a lack of structure in coaching programs or overloading of information causes me overwhelm. I know my clients will have the same experience. So, creating really succinct training calls, with super-clear actionable steps is the solution here. 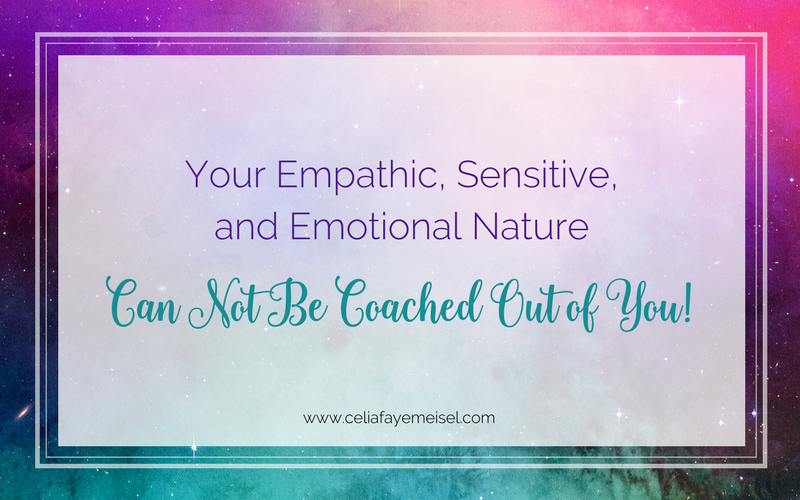 If you’ve been signing up to work with people who try to coach the sensitivity out of you … stop. This type of coaching DOES happen and is still very common in the Spiritual coaching arena, it’s not just the high-intensity marketers doing this! If you feel like you’re not like everyone else. It’s because you aren’t! To sum it all up for this post, your leadership as a sensitive, empathic, emotional, and intuitive is VERY important in the world today. Your gifts are needed and you have something special to offer. You don’t have to be like the others, you can feel all that you need to feel. Be who you are and each day honor that unique specialness and individuality within you because there is nothing wrong with you and you are not broken. You are an amazing being with so much to offer this planet, and the best is yet to come.